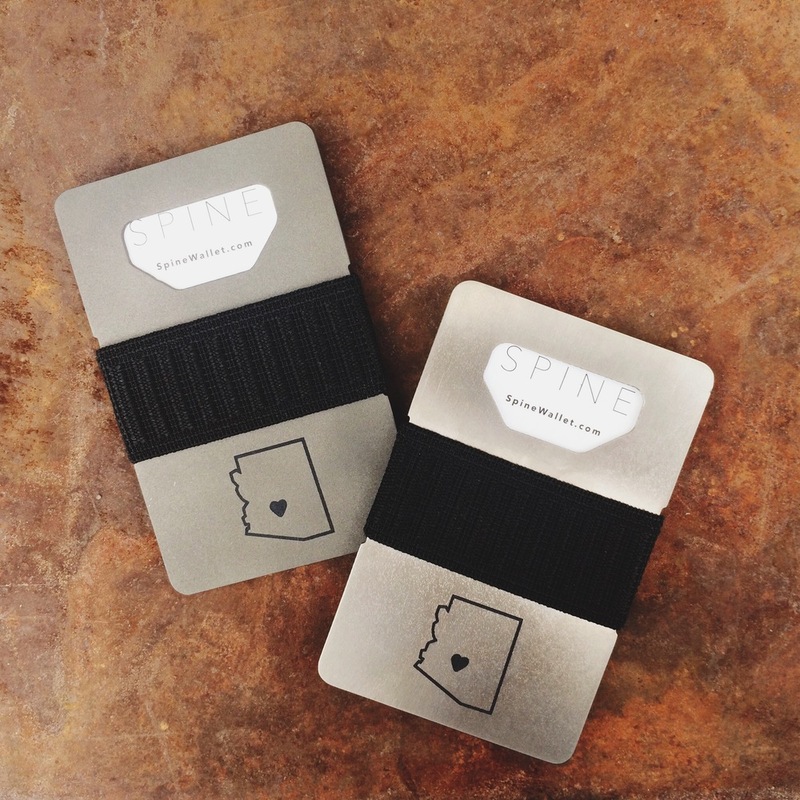 Welcome to Bunky, SPINE Wallets! 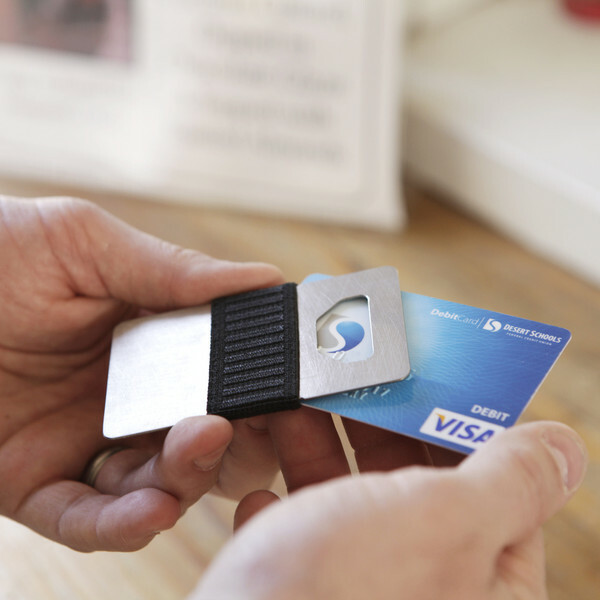 Introducing the SPINE: As slim as a credit card and as strong as steel. Locally made by brother duo Josh and Caleb Barclay from grade 5 titanium and a sturdy elastic band to keep your valuables close. 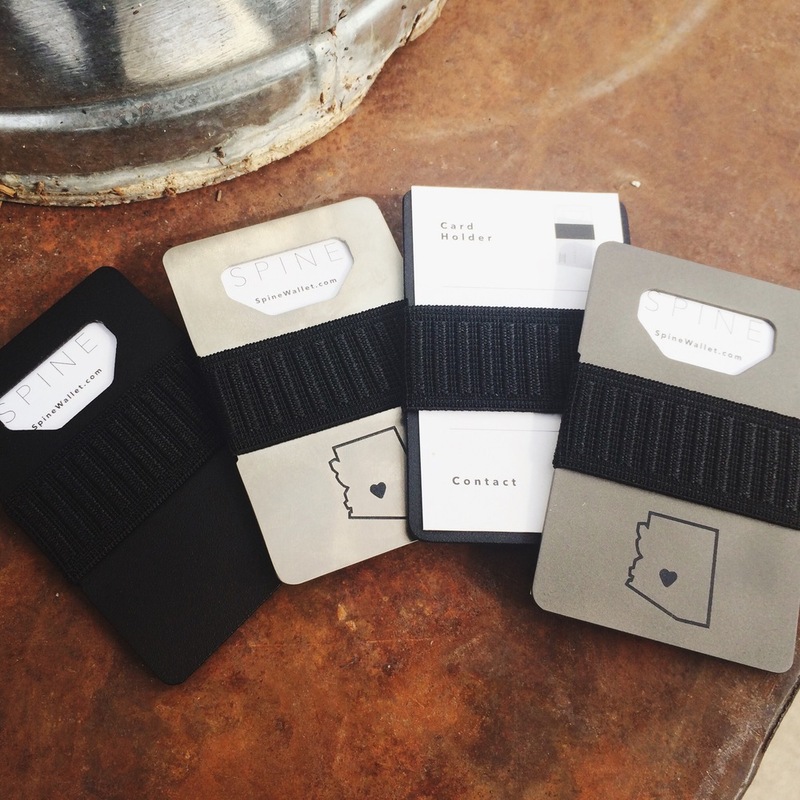 Weighing in at .7 oz, this may just be the lightest wallet you will ever own! Did we mention there is a bottle opener? 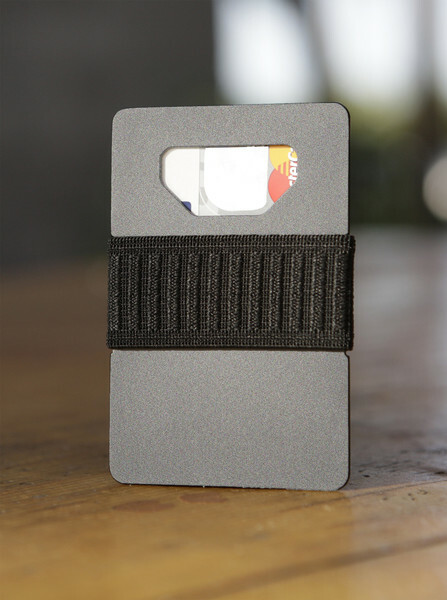 The Spine Wallet is non-magnetic, anti-allergic, ID theft resistant, and will not corrode or rust! The SPINE is also available with our exclusive AZ Love engraving! You will only find these at Bunky Boutique!